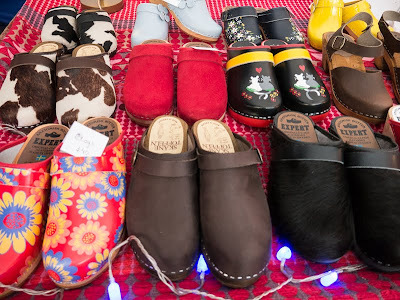 Clogs for sale at the Scandinavian Xmas market. Not very Victoria Beckham but I guess they're comfy. They look very sturdy, never been able to keep them on myself! I used to wear them long ago in the seventies. Everybody did at that time. Victoria Beckham could never walk in them because her feet have grown to wear high heels only, ha,ha. A whole lot more comfy than Victoria's shoes without a doubt! 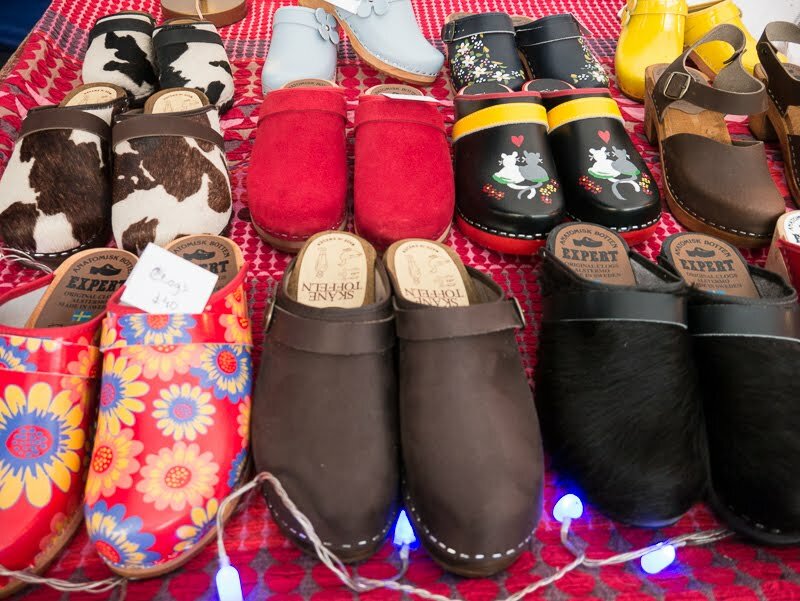 Haha, Victoria Beckham wouldn't be caught dead in clogs I'm sure, but they do look comfy (I love the flowered one). I love the flowered ones! I remember wearing these a lot! Wish I could find a nice pair here now! Ummmmm, what was at the next booth? I too had a pair in the 70's, brown with a woven leather top. Useless though if you had to run for a bus. I can`t make my mind up, if I miss them or not.